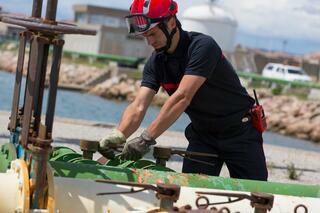 Your radio is your critical lifeline in a hazardous situation, and a trusted tool. Every day you use it and it serves you well. But are you pushing it to the max, the way your job demands your best? Here are five tips to help you get more from your radio. It may not be practical to give everyone a personal radio of their own. This is where Aliasing comes in. This feature gives you that personal radio experience even though you pick one at random from a common pool at the beginning of the shift. When you report for duty, simply pick up one of the radios and enter your personal number. 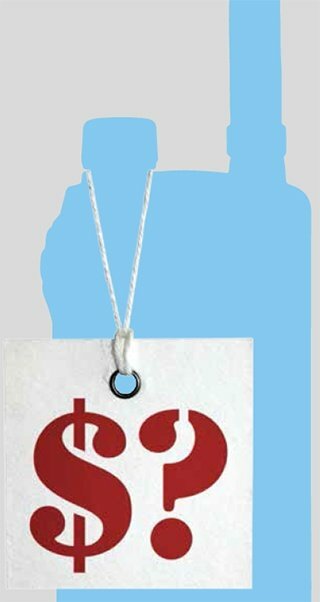 This sets the radio to work with all your rights, priorities, talk groups and other information assigned to that radio. It is your personalised radio for the time you are on duty. Aliasing is an integral feature in TETRA networks and radios from Airbus. In old analogue systems, you could talk only to the selected group and could not listen to a group that was not selected. TETRA, in contrast, allows scanning – following several talk groups at once. This is really useful if you need to follow communications in two different groups, such as the communications in your field team and in another group for task management. Further, TETRA systems from Airbus employ active scanning, which prevents a user from listening to any groups they are not authorised for. Active scanning brings you a cool benefit too – you can keep scanning the regular groups even when they are on the move, without creating additional load on the system. Check whether the TETRA system you are using is from Airbus. If it is, there’s no need to carry two radios to be able to listen and talk to two groups! What’s more, an Airbus radio with the Dual PTT key will give the best convenience to communicate in several groups. There may be quiet times even when you are on duty. You do not need to keep checking your radio for tasks if you are working as backup and you can even turn it to silent mode. If you are needed, the emergency dispatch will send you a Unit Alert, which will turn your radio into a loud, vibrating alert device. You will notice it! You can also send a Unit Alert from your own radio, if you need to make sure that your communication is noticed. Working at night or in the dark brings its own special challenges. Of course, you can use radios from Airbus most of the time without looking, but what about when you need to see something on the radio screen? You need to see the information at a glance, yet you do not want to spoil your “night eyes”. No worries! TETRA radios from Airbus also have a feature called Night Vision. This switches the screen to a darker and less aggressive colour scheme. It also lowers the brightness, while its lack of glare makes it much more user friendly. Simply select it from the ‘Go to’ menu or through a long press of a shortcut key. Data can be used in surprising ways to help operations. For example, an emergency response centre sends an alarm to a rescue service station about a fire, using a standard status message. The station’s command and control application is configured to forward the status message to the application controlling the garage equipment at the fire station. The application opens the fire station doors, turns on the lights, starts the exhaust fans and even switches on the traffic lights in front of the fire station. The fire fighters only need to get dressed, jump into the fire trucks and they are ready. 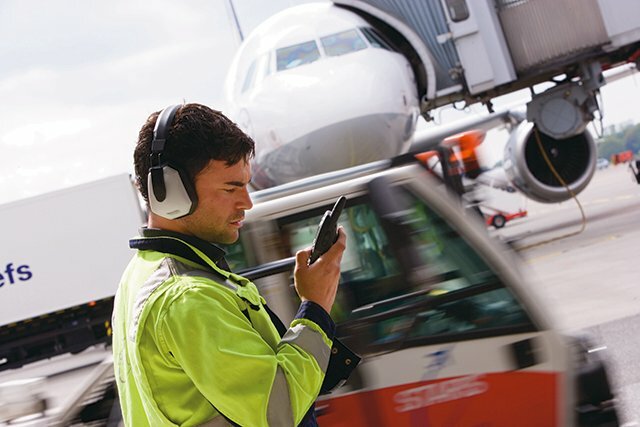 If you use a TETRA system from Airbus, you enjoy the benefit of two-way messaging, opening up many ways to use data and create innovative, mission critical applications. Most of these benefits come directly from the fact that Airbus radios work in a synergistic way with Airbus TETRA networks – in this case, the whole is definitely greater than the sum of the parts. 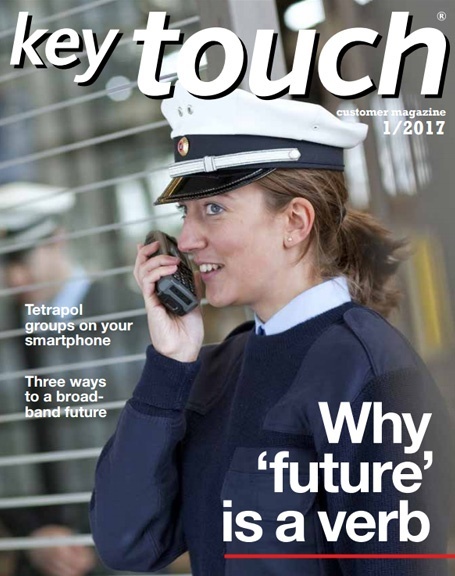 Keep up-to-date on the possibilities of advanced radio communications: Subscribe to the Key Touch magazine. Tips para mantener comunicaciones discretas en la policía. Acronyms and new terms come up in all discussions, even when meeting mission-critical professionals. How will these new technologies affect the daily work of public safety and other professionals? What should you know about IoT, 5G and Big Data? Are you planning to introduce mobile broadband and mobile apps but don't know where to start? Don't worry - these guides and videos will explain how to move towards the broadband future, the smart way. Here are five frequently asked questions about TETRA, and the answers you should know. 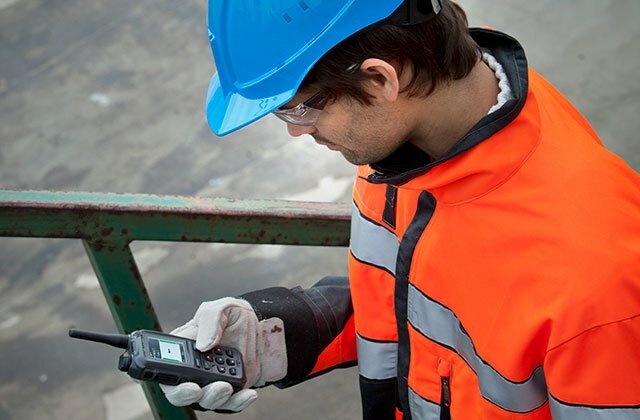 If TETRA technology is not familiar to you, check these five typical questions and the answers you should know. The new TPH900 has advanced features that help officers do their jobs more easily and safely. 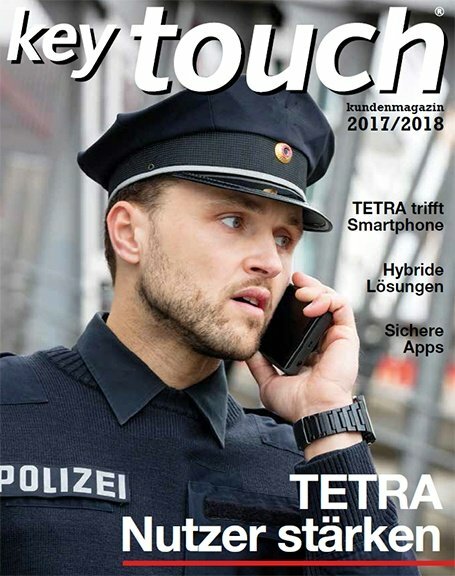 Download this issue of Key Touch Magazine in German. 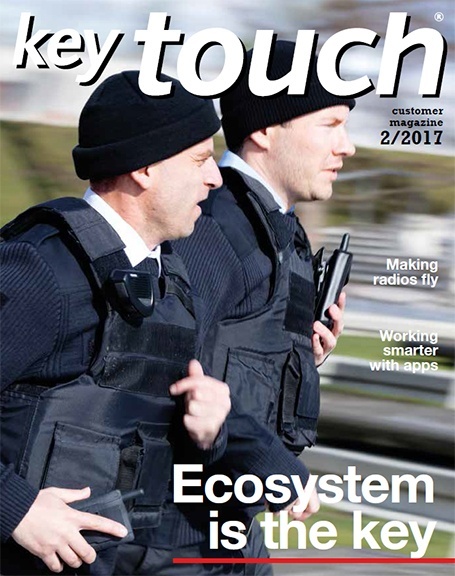 In this issue, you will learn more about new state-of-the-art features for mission-critical solutions. Tips for accessing functions and folders with the tactical button. Flash text messages are instantly visible on the radio's display. Choosing a digital radio network to suit the way you work may seem daunting, but the task can be broken down into five key requirements. It should not disrupt your operations, should be secure, bring new efficiencies, be supported by many suppliers and come from a vendor who can deliver the solution you need. Did you know that radios can cost more than the price ticket says? Did you know you that the price of a radio is not always as simple as it first appears?